PRCO has been appointed as the UK PR agency for Rocco Forte Hotels. The group has a portfolio of 11 hotels and resorts in iconic destinations, with several new openings in the pipeline. 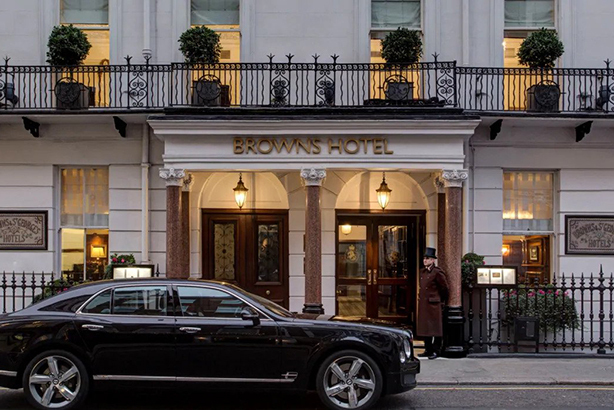 PRCO will also handle the strategic campaign and communication for the existing portfolio of hotels, which includes the landmark Brown’s Hotel in London (pictured), the Hotel de Russie in Rome and the striking Hotel Astoria, an Art Nouveau building in the heart of St Petersburg. Established by Sir Rocco Forte and sister Olga Polizzi in 1996, the business has continued to grow under the leadership of the Forte family, who have been in hospitality for four generations. PRCO’s appointment comes at a time of expansion for the hotel group, with five new openings planned over the next two years, including Hotel de La Ville in Rome, Masseria Torre Maizza in Puglia and the Westbund Hotel in Shanghai, all launching this year. This marks the first stage of a long-term strategy for Rocco Forte Hotels to extend its network of properties across Europe and further afield. In a separate development, PRCO has been appointed UK PR representatives for Sofitel Rome Villa Borghese. The hotel is a former noble residence and will reopen in Spring 2019. The agency has been tasked with increasing awareness of the hotel's relaunch, focusing on the modern renovations designed by Jean Philippe Nuel.